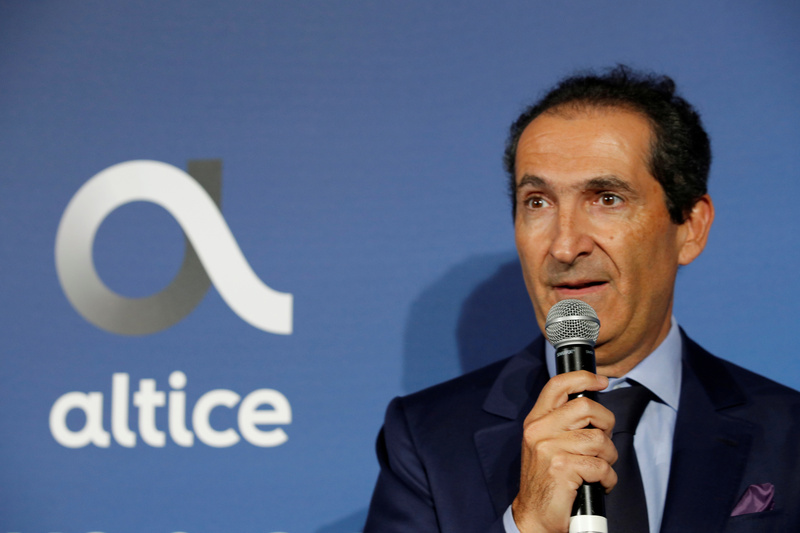 Patrick Drahi, Franco-Israeli businessman and founder of cable and mobile telecoms company Altice Group attends the inauguration of the Altice Campus in Paris, France, October 9, 2018. Altice said on March 28 that it expected operating free cash flow growth of around 10 percent in 2019, excluding its TV business. The figure fell 13.5 percent to 2.1 billion euros in 2018. The telecom company controlled by Patrick Drahi also said it expects revenue growth in its main French market of between 3 and 5 percent in 2019, and EBITDA of between 4 billion euros and 4.1 billion euros. In 2018 the French unit’s sales fell 4.3 percent to 10.2 billion euros, and it generated EBITDA of 3.8 billion euros, down 9 percent. Altice’s Amsterdam-listed shares were up 24 percent to 2.29 euros at 0853 GMT on March 29.